Diabetic retinopathy — vision-threatening damage to the retina of the eye caused by diabetes — is the leading cause of blindness among working-age Americans. The good news: Diabetic retinopathy often can be prevented with early detection, proper management of your diabetes and routine eye exams performed by your optometrist or ophthalmologist. According to the International Diabetes Federation (IDF), the United States has the highest rate of diabetes among 38 developed nations, with approximately 30 million Americans — roughly 11 percent of the U.S. population between the ages of 20 and 79 — having the disease. About 90 percent of Americans with diabetes have type 2 diabetes, which develops when the the body fails to produce enough insulin — a hormone secreted by the pancreas that enables dietary sugar to enter the cells of the body — or the body becomes resistant to insulin. This causes glucose (sugar) levels in the bloodstream to rise and can eventually damage the eyes, kidneys, nerves or heart, according to the American Diabetes Association (ADA). Risk factors for type 2 diabetes include obesity, an unhealthful diet and physical inactivity. Unfortunately, the prevalence of obesity and type 2 diabetes has increased significantly in the United States over the past 30 years. According to data released by the U.S. Centers for Disease Control and Prevention (CDC) in December 2015, there were 1.4 million new cases of diabetes reported in the U.S. in 2014. Though this annual number is down from the historic high of 1.7 million new cases in 2009, it is still three times higher than what it was in 1980. Between 12,000 and 24,000 new cases of blindness from diabetic retinopathy occur in the United States each year, according to CDC, and many could be prevented with early intervention. But a significant percentage of Americans with diabetes are not aware of their risk of vision impairment from the disease. In fact, according to a recent survey conducted by Everyday Health, less than half of adults with diabetes in the U.S. recognize their risk for vision loss. The survey results also showed that only 18 percent of respondents were familiar with diabetic macular edema (DME), a term that refers to swelling of the macula associated with diabetic retinopathy, and nearly one third (30 percent) of respondents said they don't get annual dilated eye exams recommended by the National Eye Institute for people with diabetes, which could help protect against diabetes-related vision loss. For these reasons, make sure you promptly advocate for your own eye health and that of affected family members or friends when any kind of diabetes is present. Generally, diabetics don't develop diabetic retinopathy until they have had diabetes for at least 10 years. But it is unwise to wait that long for an eye exam. With any diagnosis of diabetes, your primary care physician should refer you to an eye doctor (optometrist or ophthalmologist) for a dilated eye exam at least once a year.How Does Diabetes Cause Diabetic Retinopathy?
) necessary for good vision. Your eye doctor will use a special camera or other imaging device to photograph the retina and look for telltale signs of diabetes-related damage. In some cases, he or she may refer you to a retinal specialist for additional testing and possible treatment.
. In this test, a dye is injected into your arm intravenously and gradually appears in the blood vessels of the retina, where it is illuminated to detect diabetes-related blood vessel changes and blood leakage in the retina. One sometimes overlooked symptom of diabetic eye disease is nerve damage (neuropathy) affecting ocular muscles that control eye movements. Symptoms can include involuntary eye movement (nystagmus) and double vision. Once high blood sugar damages blood vessels in the retina, they can leak fluid or bleed. This causes the retina to swell and form deposits in early stages of diabetic retinopathy. can cause serious vision problems and eventually lead to blindness. more commonly is associated with type 2 diabetes. Macular edema may cause reduced or distorted vision. Focal, caused by or other vascular abnormalities sometimes accompanied by leaky blood vessels. Diffuse, which describes dilated or swollen tiny blood vessels (capillaries) within the retina. Non-proliferative diabetic retinopathy (NPDR). This early stage of DR — identified by deposits forming in the retina — can occur at any time after the onset of diabetes. Often no visual symptoms are present, but examination of the retina can reveal tiny dot and blot hemorrhages known as microaneurysms, which are a type of out-pouching of tiny blood vessels. In type 1 diabetes, these early symptoms rarely are present earlier than three to four years after diagnosis. In type 2 diabetes, NPDR can be present even upon diagnosis. Proliferative diabetic retinopathy (PDR). Of the diabetic eye diseases, proliferative diabetic retinopathy has the greatest risk of visual loss. Development of abnormal blood vessels ( ) on or adjacent to the and vitreous. Pre-retinal , which occurs in the vitreous humor or front of the retina. These abnormal blood vessels formed from neovascularization tend to break and bleed into the vitreous humor of the eye. Besides sudden vision loss, more permanent complications can include tractional retinal detachment and neovascular glaucoma. Macular edema may occur separately from or in addition to NPDR or PDR. You should be monitored regularly, but you typically don't require laser treatment for diabetic eye disease until the condition is advanced. Beyond the presence of diabetes, how well your blood sugar is controlled is a major factor determining how likely you are to develop diabetic retinopathy with accompanying vision loss. Uncontrolled high blood pressure (hypertension) has been associated with eye damage related to diabetes. Also, studies have shown a greater rate of progression of diabetic retinopathy in diabetic women when they become pregnant. Of course, the longer you have diabetes the more likely you are to have vision loss. In the United States, minorities appear particularly vulnerable to vision loss caused by diabetic eye disease. According to the National Eye Institute (NEI), more than 13 percent of African-American adults have been diagnosed with diabetes, and at least 825,000 have diabetic retinopathy. NEI expects the number of black Americans with diabetic retinopathy will increase to more than 1 million by 2030 and to nearly 2 million by 2050. Also, a recent study conducted at the University of Alabama at Birmingham and Wills Eye Hospital in Philadelphia found that African-Americans with diabetes are among those at highest risk for diabetic retinopathy and have one of the lowest rates of eye care use. Hispanics with diabetes also are at higher-than-average risk of developing diabetic retinopathy and vision loss. Results of the NEI-sponsored Los Angeles Latino Eye Study show that 42 percent of Hispanics who have had diabetes for more than 15 years also will develop diabetic retinopathy, compared with 15 percent for all individuals with diabetes of similar duration. Native Americans also are at high risk of developing diabetes and related diabetic eye disease. Pima Indians, for example, have a 35 percent prevalence of diabetes compared with 9.4 percent among the general U.S. population. When Is Diabetic Retinopathy A Disability? You must make every effort through medical intervention and other remedies to address diabetes and diabetic retinopathy before you qualify for special considerations under the Americans with Disabilities Act (ADA). A disability basically means that you are substantially limited in the way you function in daily activity. When you are disabled, you are entitled to certain reasonable accommodations at the workplace and at public places such as schools. ADA amendments added in 2008 further clarify that diabetics in particular have certain protections under the law, such as needed breaks at the workplace for insulin injections or lunches at set times to maintain blood sugar levels. You cannot be fired from your job or denied employment strictly because you are diabetic, as long as you are able to handle the basics of your work tasks. As an example, the American Diabetes Association says that a person with mild diabetic retinopathy easily might perform daytime tasks but could have difficulty with night vision. In this case, special accommodation such as appropriate lighting might be needed at the workplace. If questions arise, you may need a letter from your physician that advises an employer regarding how well you will be able to perform certain work tasks. Any special accommodations you might need, such as extra lighting, also could be explained by your doctor(s). State regulations governing disability differ, so you also should check guidelines established by the state in which you reside. If you are visually impaired enough that you cannot work and expect the condition to last at least a year, you may be qualified for Social Security disability benefits. To qualify, you previously must have been in the workforce for a length of time that depends on your age. You can contact your local Social Security representative for details or go online to view specific U.S. Social Security Administration guidelines at www.ssa.gov. VISION USA. Administered by the Optometry Cares - The AOA Foundation, this program provides free eye exams to uninsured, low-income workers and their families. For more information about VISION USA, visit the AOA Foundation website. EyeCare America. This public service program of the Foundation of the American Academy of Ophthalmology provides free eye exams for qualifying seniors. 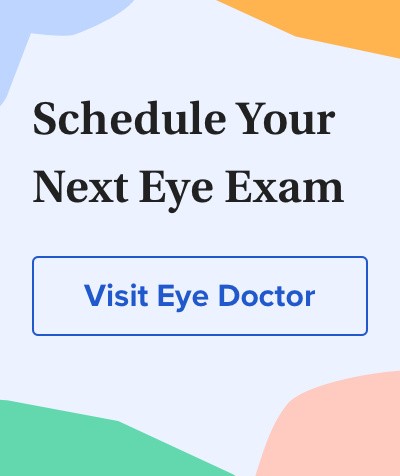 Eligible individuals receive a comprehensive medical eye exam and up to one year of care for any disease diagnosed during the initial exam at no out-of-pocket cost. To determine if you or a senior family member or friend qualify for this program, visit the EyeCare America website. Lions Clubs International. This organization provides financial assistance to individuals for eye care through its local clubs. You can find a local Lions Club by using the "club locator" feature on the organization's website. Gary Heiting, OD and Vance Thompson, MD, also contributed to this article. Patients' adherence to recommended follow-up eye care after diabetic retinopathy screening in a publicly funded county clinic and factors associated with follow-up eye care use. JAMA Ophthalmology. November 2016. New diabetes cases among Americans drop for first time in decades: CDC. HealthDay. Published online in December 2015. Annual number (in thousands) of new cases of diagnosed diabetes among adults aged 18-79 years, United States, 1980-2014. U.S. Centers for Disease Control and Prevention. Available at www.cdc.gov/diabetes/statistics/incidence/fig1.htm. Accessed in December 2015. New survey of U.S. adults with diabetes reveals less than half understand their risk for vision loss. Press release issued by Regeneron Pharmaceuticals. November 2015. Diabetic retinopathy. National Library of Medicine/National Institutes of Health website. Accessed in December 2011. National diabetes fact sheet: national estimates and general information on diabetes and prediabetes in the United States, 2011. U.S. Department of Health and Human Services, CDC. Available at www.cdc.gov/diabetes/pubs/factsheet11.htm. Accessed in December 2011. Self-Reported Visual Impairment Among Persons with Diagnosed Diabetes — United States, 1997-2010. Morbidity and Mortality Weekly Report. U.S. Centers for Disease Control and Prevention. November 2011. U.S. Latinos Have High Rates of Developing Vision Loss and Certain Eye Conditions. U.S. National Institutes of Health, National Eye Institute. Press release issued in May 2010. Diabetes mellitus. Ferri's Clinical Advisor 2010, 1st ed. Diabetic retinopathy: An update on treatment. The American Journal of Medicine. March 2010.